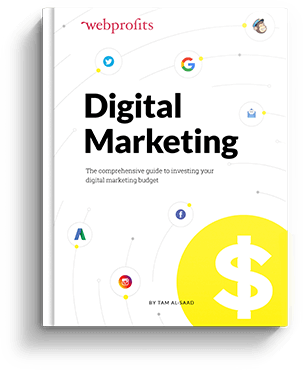 There are over 3 million advertisers on Facebook, with upward of 90% of social media marketers using the advertising platform to boost their brand, generate leads and tap into business growth. And it’s no surprise… Facebook offers the most sophisticated advertising opportunity we’ve ever seen. In Australia alone there are over 15 million Facebook users, that’s 62.5% of the entire population. And even the most basic Facebook accounts are setup with something like 40 points of personal information. That’s not to mention the endless supply of activity data they track… Such as apps you download, videos you watch and ads you engage with. All of this information is available to advertisers who can intelligently target customers that are proven to interact with their ads, and buy their products and services. But how do your ads fair in this growing battle for attention? Despite these advanced targeting opportunities, most Facebook advertisers are experiencing a negative ROI. It’s not your fault, you were told it would all be easy. You were told that Facebook ads were like “fishing with dynamite”. But instead of getting leads you just got a big invoice from Facebook. If you feel like you’re spinning your wheels, this article will provide a shortcut. After analysing hundreds of different Facebook ad campaigns, and delivering hundreds more for our clients, we’ve put together this list of success-elements. 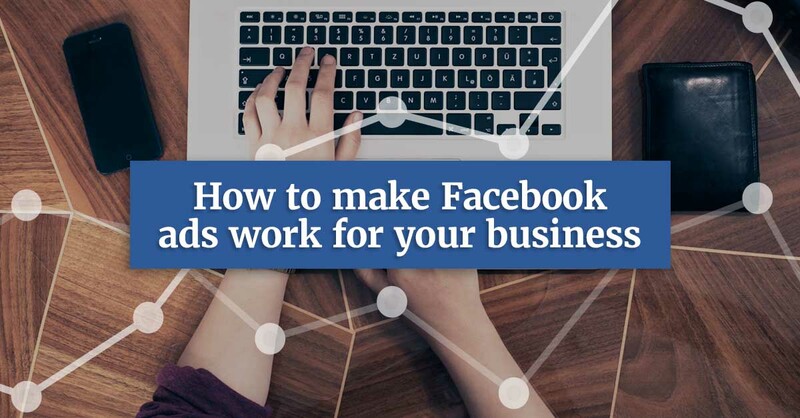 These 21 elements contribute to the success of the very best Facebook ad campaigns, and will help you adjust your strategy and start delivering an ROI to your business. You won’t be able to include every one of these elements in your ads, but if you aim for a selection that feels most compelling for your situation, then you’ll be on the right track. With so many Facebook users, it’s impossible to target them all… In fact, poor targeting is one of the primary reasons Facebook campaigns deliver a negative ROI. The real value of Facebook advertising is in targeting a very specific audience with your ad who is most likely to benefit from your product or service. You can do this by creating unique buyer personas and targeting your ad copy specifically to them. Shopping preferences: How do they interact with businesses? Where do they go to research for products and services online? Do they prefer to purchase on or offline? On a call or through a form? Challenges and goals: How do they define success? What barriers do they have to getting there? Pain points: What keeps them up at night? How can you position your product or service as a solution to this? In this example the pain point is – having to waste so much time sitting in meetings. 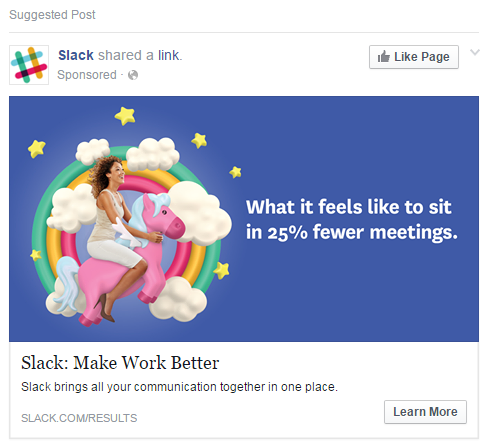 Slack’s solution is an all-in-one communication software. The better you can understand the problem you are solving, and exactly who you are solving that problem for, the better you can design your ad copy and imagery to highlight that fact. If a prospect sees themselves in your ad they will click through. As well as integrating your ideal customers into your ad copy and design, the best campaigns go a step further with advanced audience targeting. The amount of data that Facebook has about its users is astonishing, and as an advertiser, you need to be leveraging this data by pinpointing exactly who you want your ads to be seen by. 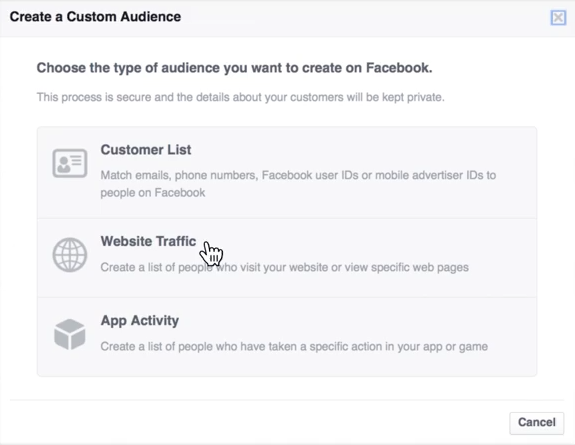 Facebook Custom Audiences are really powerful from this perspective. They enable you to show your ads to people that have interacted with your business in the past and already have a base level of trust for you. The average click-through-rate (CTR) for Facebook Custom Audience ads is 8% higher than for display ads overall. About 85% of Facebook ads are targeted by Country, rather than a specific location. And only 45% of ads use Interest Targeting, to further narrow the groups they are shown to. To better leverage advanced targeting, go back to your buyer personas and use them to create ultra-targeted audiences for your next campaign. 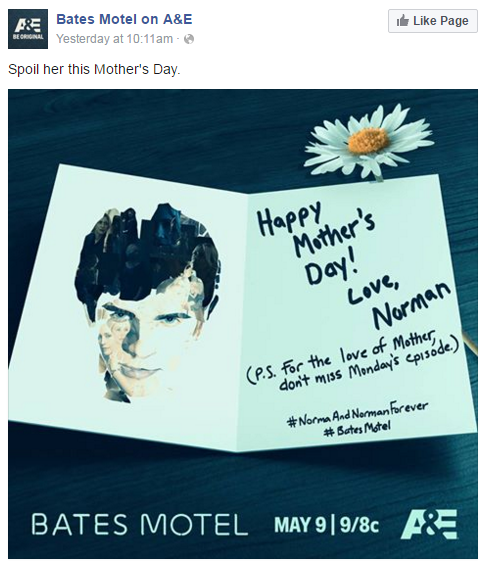 For example, this ad from Bates Motel by A&E won’t mean much to people who have never watched the TV show. But thanks to interest targeting, A&E can make sure that only people who are already interested in the show see the ad. You can easily create Customer Audiences from customer lists or an email subscriber list too. Simply get a CSV of your list with the appropriate information such as names, emails, phone numbers etc. 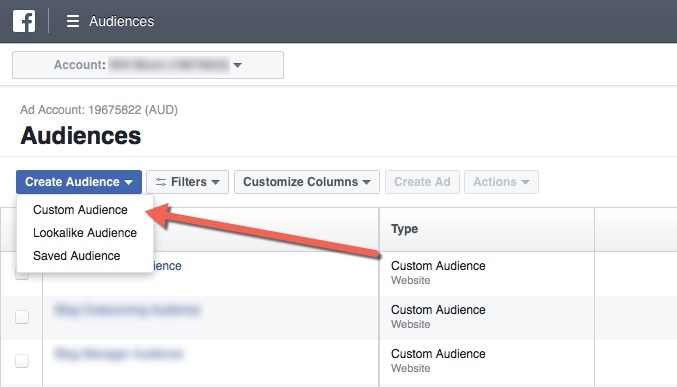 Then go to the Audiences tab in the Facebook Ads Manager and click on the “Create Audience” button and then “Custom Audience”. You can also choose to target people who have visited your website, or been active in one of your apps. 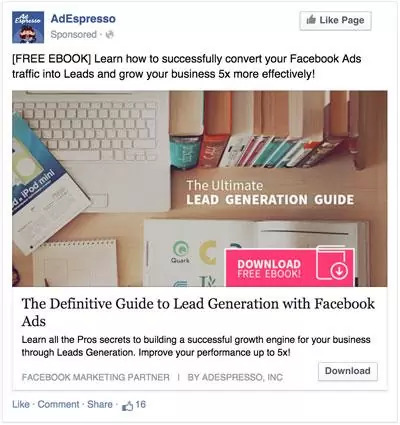 Without a doubt, the best Facebook ad campaigns use advanced targeting techniques such as custom audiences, interest targeting and remarketing to narrow down the group that sees their ads. Before you know what kind of ad you want to create, write copy and incorporate visual elements, you need to know what the actual goal of the ad is. Do you want to get leads? Clicks? Page likes? 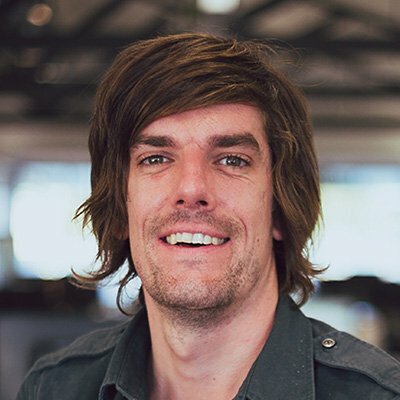 Website traffic? Brand awareness? The design and delivery of your ad will depend significantly on what you are looking to achieve, and the best ads deliver on that promise. 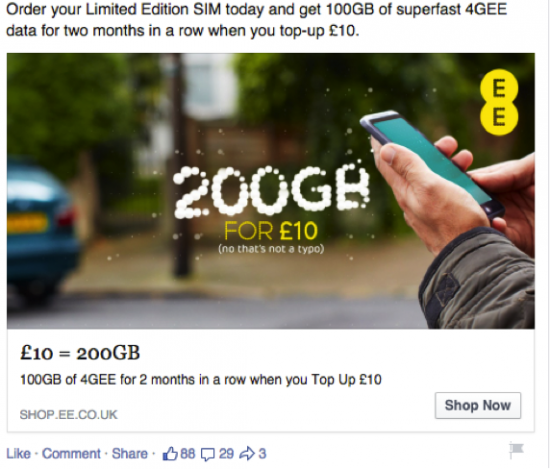 EE is a telco in the UK, below you can see an ad of theirs with the goal of increasing conversions. To do so they have used the “Shop Now” call-to-action supported with deal-specific copy. If you don’t make a goal for your ad, there’s no way to really measure its effectiveness. 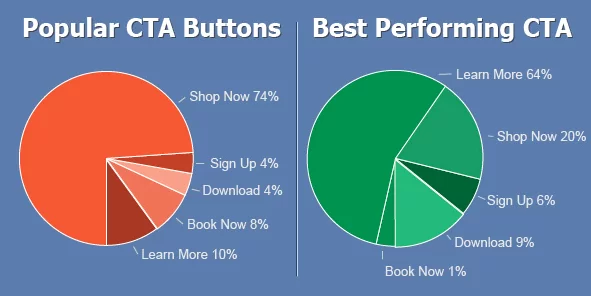 You should also consider what call-to-action (CTA) buttons you use with your ad, depending on your goal. 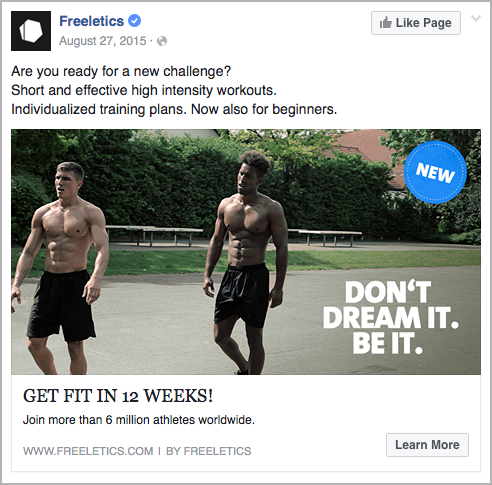 So what are your goals from Facebook advertising? What can you do to optimise your ads and targeting accordingly? 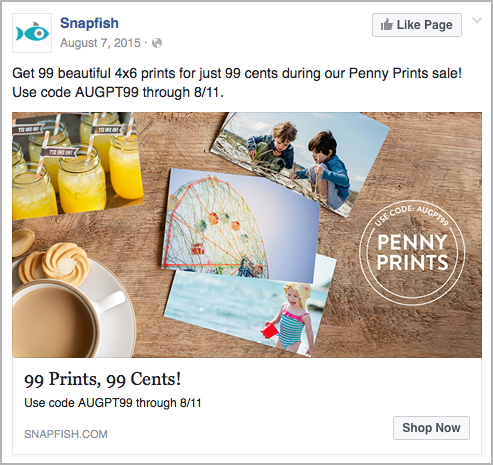 A unique value proposition is essential to any successful Facebook ad. This is a clear statement that describes the benefit of your offer, the problem you solve for your customers, and why you are different. 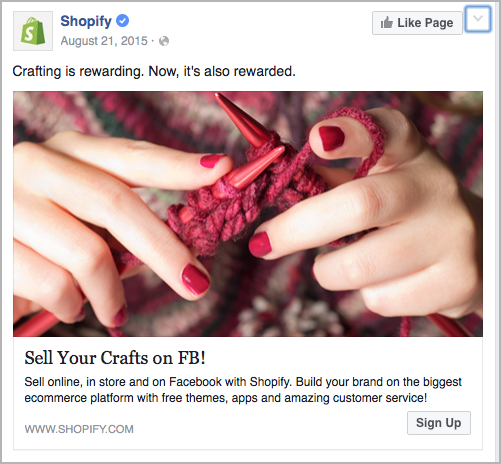 Here’s an example of a great value proposition from Shopify, it’s compelling because it focuses specifically on a niche target group that wants to sell crafts on Facebook. 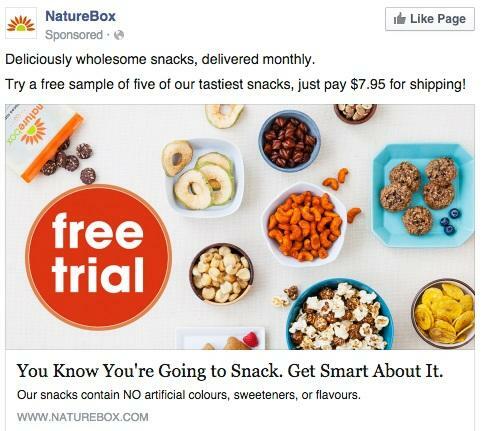 Your Facebook ads need to be a natural extension of your brand. If someone clicks on an ad, the very next web page they see should look, feel, smell and taste like the ad did. This should all be consistent with your website and any other marketing materials your business distributes. Your brand is predominantly associated with your name, logo and core messaging. But it is much more than that. Your brand extends to the values, attitudes, opinions and experiences associated with your business. Using consistent colours, logos, messaging and other branding elements in your Facebook ads increase credibility and trust almost immediately with your prospects. 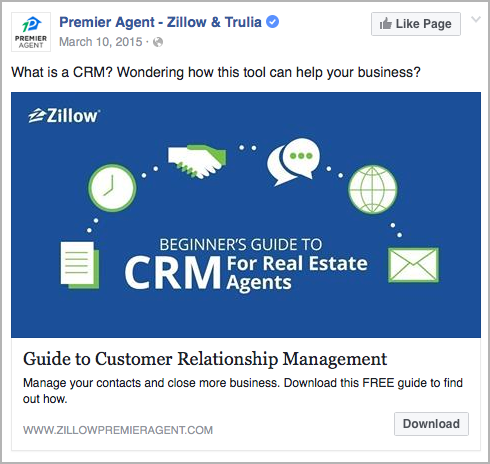 Do your Facebook ads nicely tie in with your brand strategy and create consistency? Need help with your social media marketing? Click here to find out how Web Profits can help. The visual elements of your ad are probably the most important. Visuals are processed by the brain 60,000X faster than text with 90% of information transmitted to the brain being visual. Whatever your ad type, focus on incorporating stunning visual elements that capture attention and inform users about what you have to offer. This example from Lumosity offers a simple yet curious image that attracts your eyes immediately, the key is simplicity. You will also notice that they have kept this image brand congruent with their website, and the experience you have with their product. 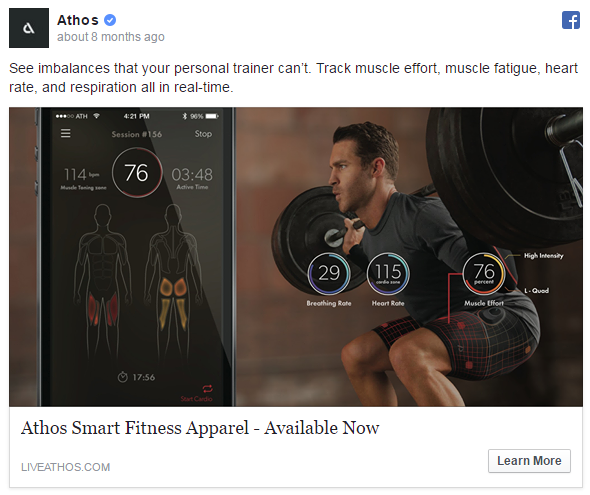 Here is another great example of a visually stunning ad from Athos, that shows off the inner workings of an app, and the physical benefits to the user. The visual interpretation of numbers and graphics are a proven formula to draw in a prospect. Your visual elements can also be a way to build an emotional connection with your audience by putting real faces to your business (preferably staff members). Stunning visuals matter, they could be the difference between a winning campaign and a flop. 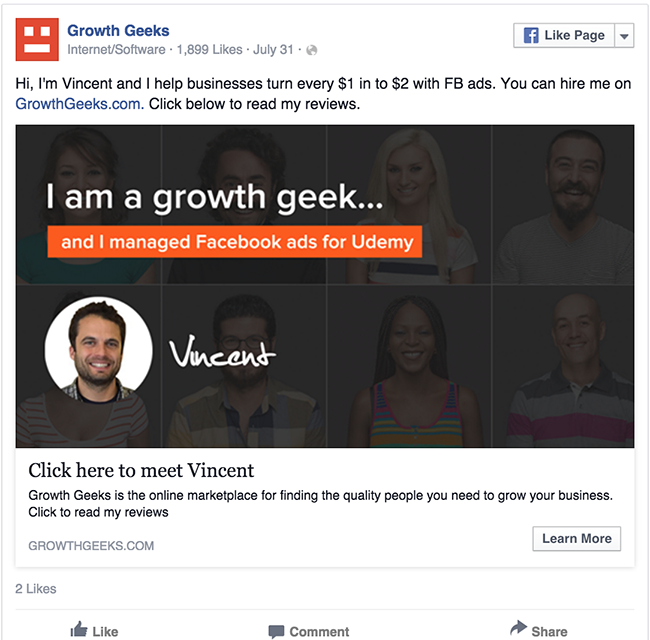 Human faces are a powerful piece of marketing collateral, just like I highlighted in the Growth Geeks example above. Beyond that emotional connection, faces help people relate to your business and the offer you have available. They act as a bridge between not knowing you at all, to trusting you with their money. People and faces in Facebook ads help bring to life emotions, focus the point of reference and encourage viewers to drop their guard. Below is an example of this technique from Adwerx. They’ve combined a human element with some intriguing graphics on the right hand side to boost conversions. 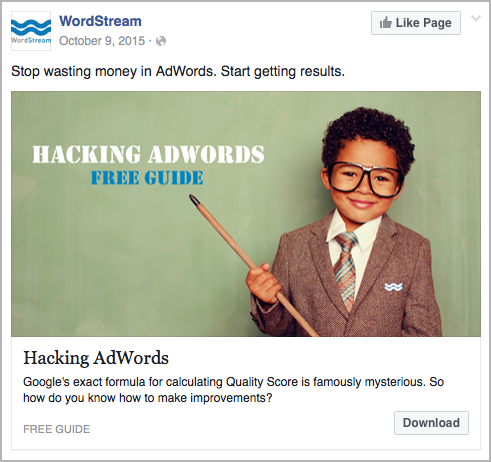 What faces can you use in your next Facebook ad? Maybe you’re an expert and your prospective customers recognise that. Or perhaps you’d like to shine the light on your employees or one of your most recognisable customers? Background space and simple colour schemes help your messages pop off your ad images. They draw a viewers eyes to the most important information and eliminate any unnecessary clutter or distractions. More often than not, the simpler your image is, the more intriguing it can be for your prospects. 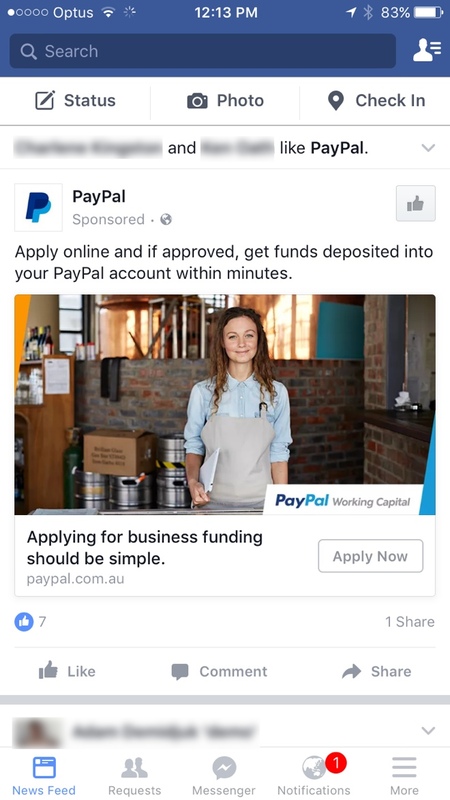 The use of a two-colour headline alongside a basic image of a human face is a very popular combination when it comes to Facebook ads. Current estimates predict that video ads will be responsible for 55% of total ad revenue by 2019. And with the growing popularity of video across other social networks such as Vine, Instagram and Snapchat it’s not surprising. 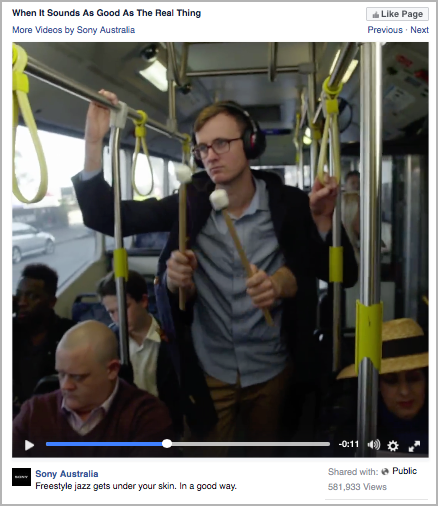 Even if you don’t have a big ad budget to create campaigns like these, anyone can create a video. Another very effective way to leverage video in your Facebook ad campaigns is to optimise your ads for “Video Views”. By using this feature, Facebook automatically creates a custom audience of those people that have viewed your video. You can then remarket other offers to those people knowing that they are likely interested in your brand or the problem you solve. Just like on a sales page, your Facebook ad should promise a result or outcome to your prospects. The use of benefits, features and results have long been an effective way to market a product or service offering. The best Facebook ads intelligently deliver all three of them in a subtle yet compelling way. Think about the benefits, features and results you already use on your website as marketing collateral. They may be in case studies, testimonials, sales pages, wherever. What are are the 2 or 3 of these that deliver the most powerful message based on your unique value proposition? Include them in your ad. 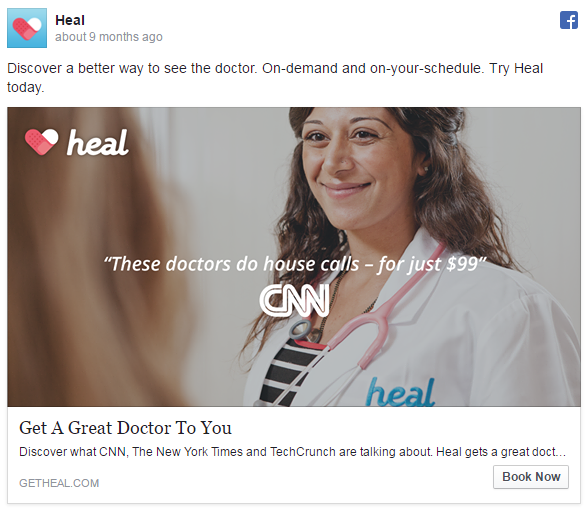 If your brand isn’t already well known, or if you work in an industry where garnering trust is essential for conversions (such as healthcare), then social proof is a must for your ad. Less than 40% of people trust ads, while 92% trust recommendations from other people, even if they don’t know them. 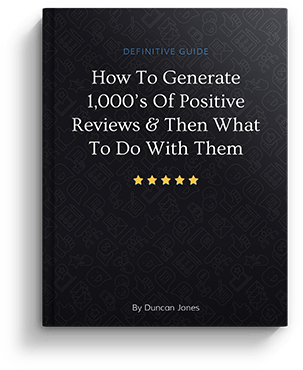 So what type of social proof can you use in your ads? We buy based on emotions and justify those purchases with rational thinking… That’s why humour and curiosity are such powerful tools in your Facebook ads arsenal. They help you immediately establish rapport with prospects and entice them to find out more. If you can get people laughing, smirking, shocked or surprised at the ad you put up, they are more likely to click through and see what all the fuss is about. 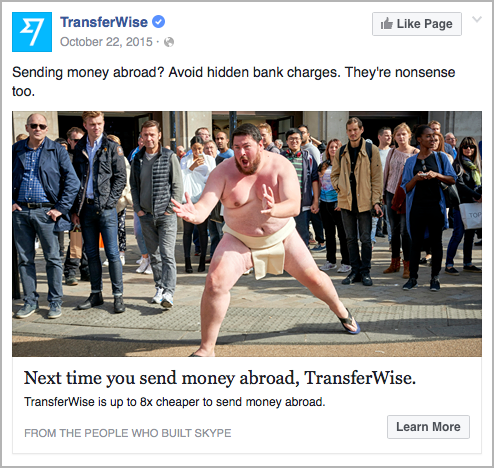 Here is a bizarre example from TransferWise where they have used a confronting image to grab your attention. The genius of this example is that it not only grabs people’s attention, but it also fits with their target market and the offer they have available. If you don’t think humour in marketing works, check out Dollar Shave Club. They have literally built their whole business on the back of funny videos and marketing messages that connect with consumers. 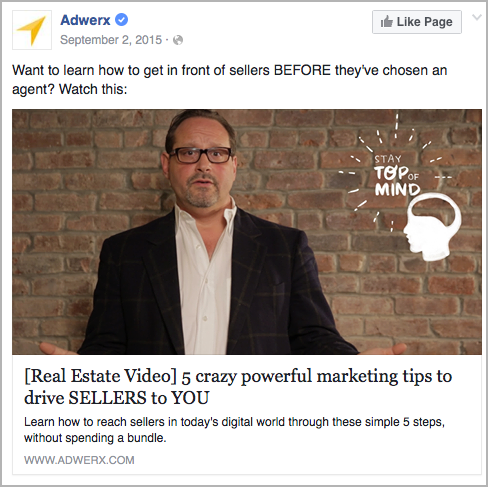 Your Facebook ad strategy is all about creating an offer that your prospects can’t refuse. A call-to-action so well written, so well supported by stunning visuals and so well backed by proof that they are left with only one choice – to click on that button. The best offers and calls-to-action are things of high perceived value with clearly stated benefits, that catch the eye of prospects at the perfect time in their customer journey. Each Facebook ad you run should have one single call-to-action, not several, and the whole ad should be designed to entice that action. Once again the key is simplicity, help your prospects make an easy decision. Here is an example from Snapfish… Within the first few words you already know exactly what this offer is about, what you will get and essentially what the benefits are. From there on, everything else supports this claim. Think about the goal of your Facebook campaign and structure a call-to-action and offer that helps achieve that goal. Product previews or “behind-the-scenes” photos and videos are a great way to put your prospects in the mindset of a buyer. They accelerate the thought process for making a purchase, and help prospects see what it would be like if they actually bought something from you. If a prospect is on the edge, and unsure about buying one of your products, a teaser or preview can tip them over the edge. Simply put, it calms their nerves and lets them see how good it would be to have your offer. 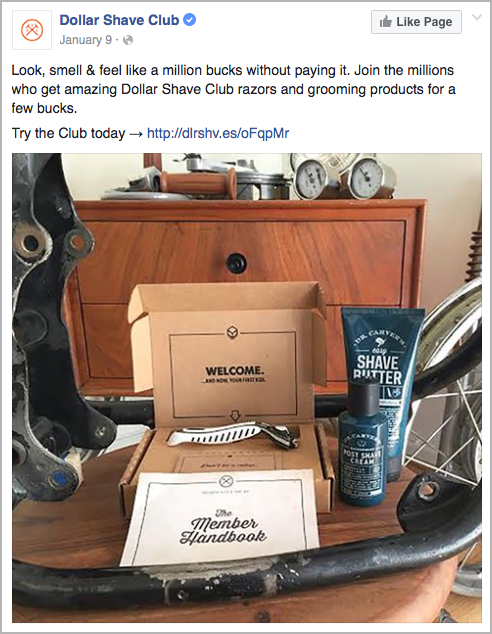 Dollar Shave Club use product previews regularly in their Facebook ads, just like the example below. What collateral could you take a rustic, high quality photo of to use in your next Facebook ad campaign? 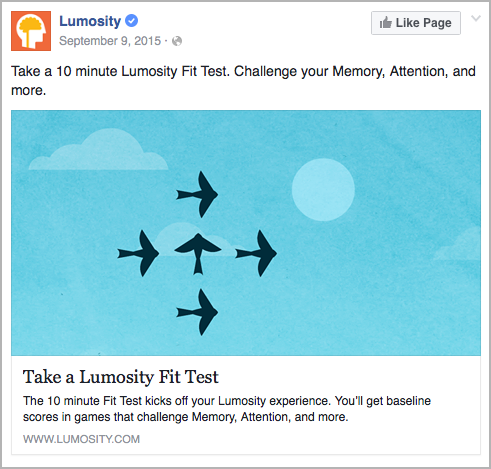 You’d be amazed at how much small, subtle differences can impact the success of a Facebook Ad. Just like any form of marketing, testing and optimisation are vital when running a Facebook campaign. Whether it’s the copy, the image, the call-to-action or the targeting, you can test the effectiveness of your ad in many different ways. 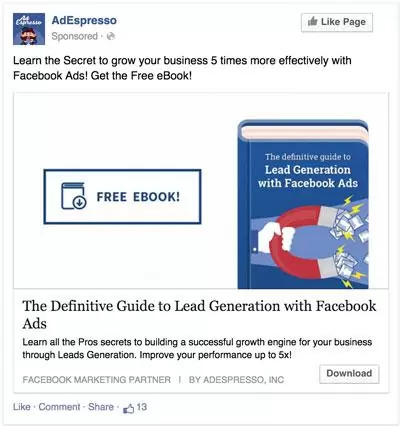 Here is an example campaign from AdExpresso for a free eBook. They have run the ad with a different piece of copy above the image, and a different image. Even though these two ads aren’t all that different, the first version ended up with a conversion rate of 11.81%, whereas the second version only had a conversion rate of 8.55%. The only downfall of this test is that it’s very hard to determine which element caused the shift in conversion rate because they changed multiple elements. For a more accurate test it makes more sense to test one element at a time, so you can pick the combination that is proven to perform the best. To get the best results from your Facebook ad campaigns, keep them running for a longer period of time, regularly testing and switching out the underperforming elements. You can test design elements such as your image, title, text, description and call-to-action. Or you can test targeting elements such as the placement of your ads, audience targeting, demographics, geography and other variables. Facebook ad research has found that most companies only have one Ad, but the best performers have hundreds. 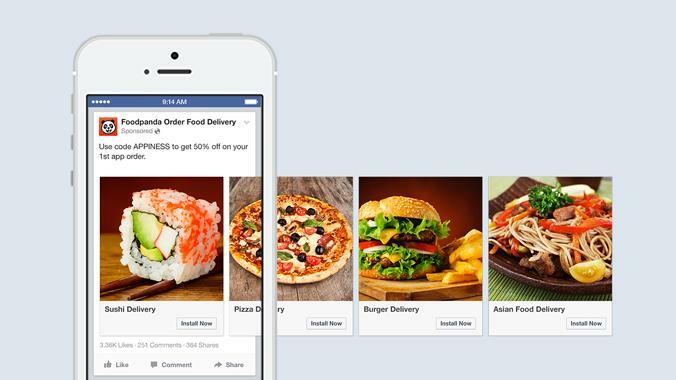 Facebook’s carousel ads are a new way to deliver multiple images and offers within one ad. For some businesses (predominantly eCommerce companies) they are proving to be 10 times better than regular ads. 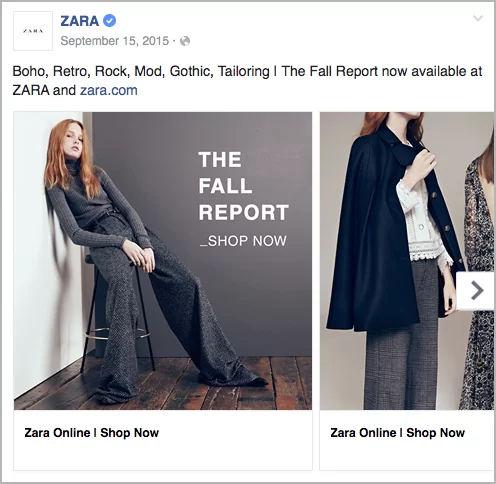 Below you will see an effective use of this ad style by Zara. As you can see for an eCommerce business that has several products available, the sliding carousel option is a great way to get your prospects to see multiple products and increase the chance they will click through. It’s kind of like a mini look book or brochure to see what’s on offer. 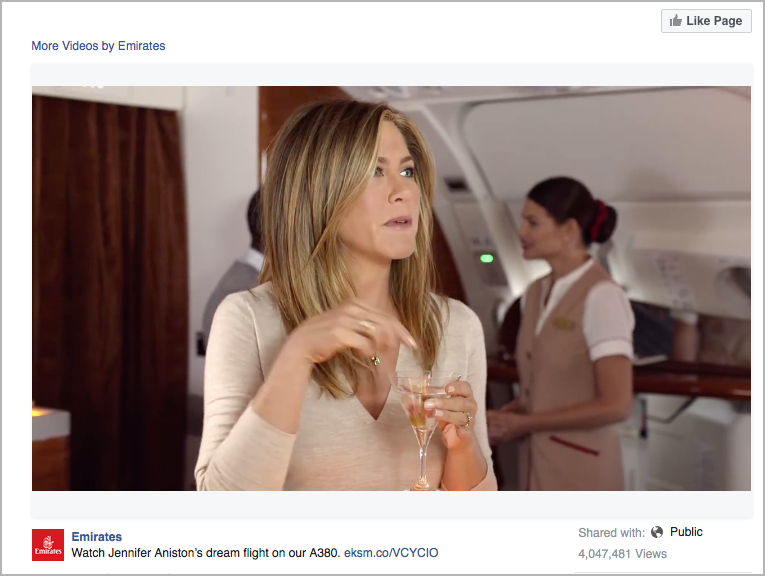 How do you think you could integrate carousel ads into your Facebook strategy? Would the use of multiple images or products enhance your value proposition? Facebook mobile ads make up 79% of their entire business revenue… And that figure isn’t surprising given 47% of Facebook users ONLY access the social network from a mobile device. As the use of smartphones and mobile tablets continues to saturate the market, it will become increasingly important to optimise your ads for mobile consumption. How do your ads look on mobile? Take a look at this mobile ad from PayPal as an example, they have effectively used many of the elements I’ve spoken about in this post, and all of them are optimised for mobile. If I use text on my image, would someone be able to read it when it’s smaller on a mobile device? Do prospects get enough information from the text ABOVE my ad image? Because all the text below the image is cut off on mobiles except for the headline. Is my visual eye-catching enough to get a prospect to stop scrolling? And is it still clear when down-sized for mobiles? Facebook advertising presents a huge opportunity for businesses all over the world. The level of audience targeting and positioning available to advertisers is far beyond anything we’ve ever seen. But just because it’s a big opportunity doesn’t mean it’s easy. In fact, getting an ROI from Facebook ads takes a lot of hard work, testing, failed attempts and money spent. 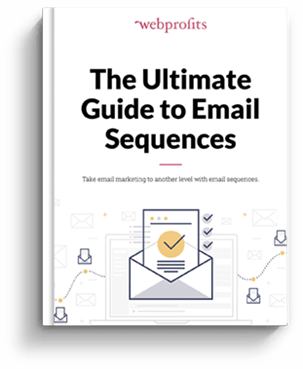 If you want to shortcut that process and start seeing some rapid returns from your investment, take into account these 21 elements that have contributed to the success of hundreds of different campaigns in the past. Or if it’s all a BIG learning curve and you want some help, get in touch with us. 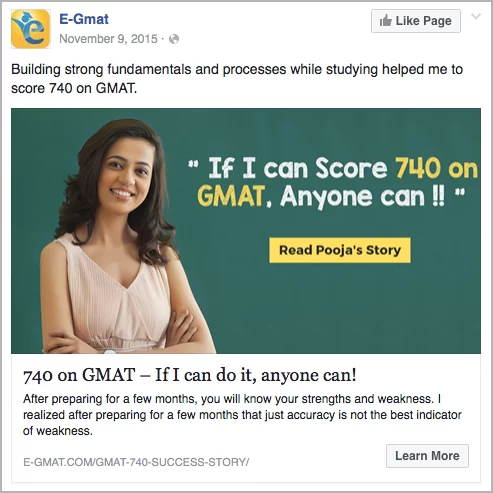 How do you think your Facebook ads stand up to some of these successful examples? What will you change next time you run a campaign? Ales focuses on developing high performance advertising campaigns on numerous social media platforms. As Social Media Specialist his driver is to stay ahead of the curve by implementing innovative online marketing strategies that break the mould. Utilising unique strategies, Ales is at the forefront of deciphering the objective results of this cutting-edge industry.